Achieve Hearing & Rehabilitation offers a complete CAPD (Central Auditory Processing Disorder) evaluation with an audiologist and a speech-language pathologist. Achieve offers comprehensive treatment for CAPD with speech-language pathologists who are knowledgeable about how CAPD affects learning and language. 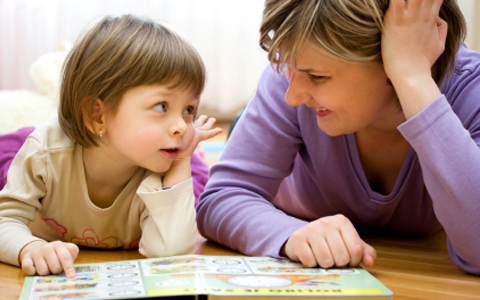 The speech-language pathologist will partner with you to develop a treatment plan to meet your child's specific needs. The diagnosis of CAPD must be determined by an Audiologist and provide information about both developmental and acquired disorders of the central auditory system. A Central Auditory Processing Disorder (CAPD) is a deficiency in the way the brain processes verbal/auditory information. 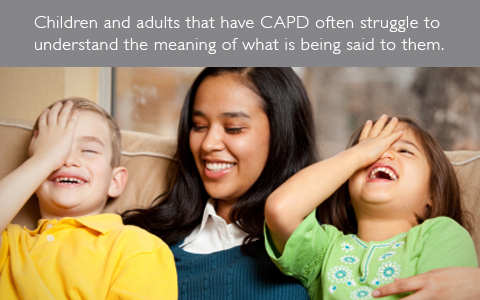 Children and adults who have CAPD often struggle to understand the meaning of what is being said to them. Some people are born with CAPD, whereas other people acquire it later in life. Signs of CAPD are not exclusive to the disorder, but if your child exhibits some of the following signs or symptoms, they may be at risk of a central auditory processing disorder (CAPD) and benefit from specialized auditory testing. If your child exhibits some of these signs call Achieve Hearing & Rehabilitation today. We can discuss the auditory testing options Achieve uses to assess central auditory function and help your child strive toward a more balanced life. Achieve Hearing & Rehabilitation offers a complete CAPD (Central Auditory Processing Disorder) evaluation with an audiologist and a speech-language pathologist. CAPD testing is completed in two parts. The first part is with an Audiologist. The Audiologist looks at how the brain processes sounds. The second part is with a speech-language pathologist. 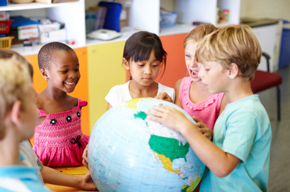 The speech-language pathologist evaluates how CAPD impacts language and learning. At Achieve Hearing & Rehabilitation, CAPD testing is individualized based on each person. The selection of tests will depend upon a number of factors, including the age of the person, the signs or symptoms the person exhibits, the person's native language, cognitive status, and other determining factors. The American Speech-Language-Hearing Association (ASHA) states that CAPD needs to be assessed and diagnosed by an Audiologist (ASHA Technical Report "Central Auditory Processing Disorders" January 2005). 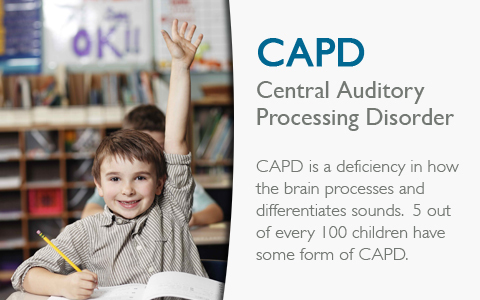 CAPD is diagnosed through specialized tests designed to assess the auditory centers of the central nervous system. 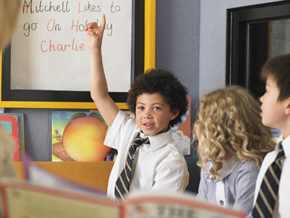 The tests fall into two major categories: hearing acuity tests and auditory processing tests. Following CAPD testing, the audiologist and speech-language pathologist with will meet with the parent to discuss results. If treatment is indicated, therapy can be scheduled with one of the speech-language pathologists at Achieve Hearing. If you have additional questions about CAPD, contact Achieve Hearing & Rehabilitation. We provide you the best services possible by establishing individualized relationships with our patients. Can CAPD hinder a child's educational development? Speech and language skills are developed most efficiently through hearing, which means it is not unusual to observe speech and language problems, as well as academic problems in children with CAPD. 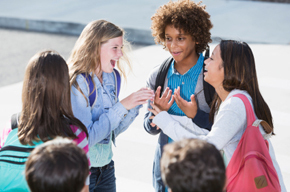 If a child experiences difficulty in processing the brief and rapidly changing acoustics of spoken communication, they are likely to have problems recognizing the important intricacies of language. Although there is no medical cure (medicine, surgery, etc.) there are many treatment options available through a variety of techniques that incorporate speech-language therapy. Achieve offers comprehensive, individualized evaluations and treatment for CAPD. Achieve's speech-language pathologists are licensed and specifically trained about how CAPD affects learning and language. Treatment of CAPD may involve a multidisciplinary approach. Other professionals that may be included in the treatment process: the child's teacher(s), reading specialist (RSP), psychologist, and neurologist. If my child is diagnosed with CAPD, does it mean they have hearing loss? Children with CAPD have normal hearing. Their processing problems will not be detected by traditional routine hearing exams. Specialized hearing tests and processing tests must be administered to diagnose a person with CAPD. Speech language pathologists and psychological tests can identify CAPD characteristics; however, an audiologist must complete the testing to diagnose CAPD. Every person receives a comprehensive evaluation. Strengths and growth areas are identified and treatment plans are developed to specifically target the person's needs. Achieve Hearing & Rehabilitation offers therapeutic programs based on the most current research for children, teens, adults and seniors. Early morning / late evening by appointment.